Judy Ross lives in Manhattan with two young sons. And her place looks great. Just 600 square feet she has managed to fit in so much storage that her home looks tidy and spacious even while filling the place with lovely artwork and objets. How did she do it? She ran her apartment like a ship. 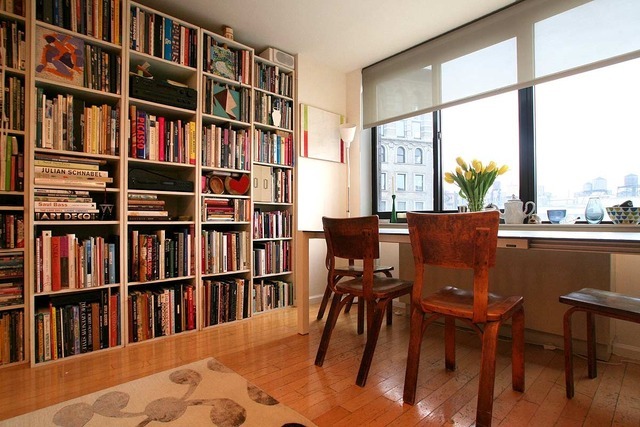 Check out her story on Apartment Therapy and be inspired to create your very own small space. PS. It’s a rental apartment. Posted in Decorating, Small House and tagged Decor, Neighbourhoods, New York, Small Style, tiny apartment. Bookmark the permalink.